We will rejoice and be glad in it.Please, LORD, please save us. The really good coaches are smart cookies. Forget the "dumb jock" jokes, and pay attention to their ability to motivate — and focus on what matters. 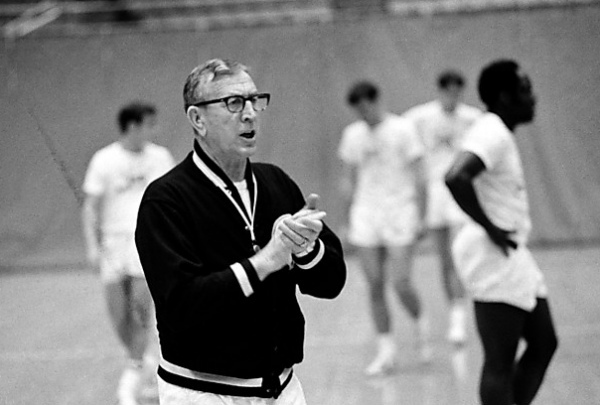 One of several nicknames carried by the late UCLA basketball coach John Wooden was The Wizard of Westwood. During his eventful career, he mentored — not just coached — dozens of men who went on to success both in the NBA and in a variety of careers outside athletics. Along the way, his teams won a record ten national titles and set a record 88-game collegiate winning streak. He died in 2010 but remains one of the most respected figures in all of sports. 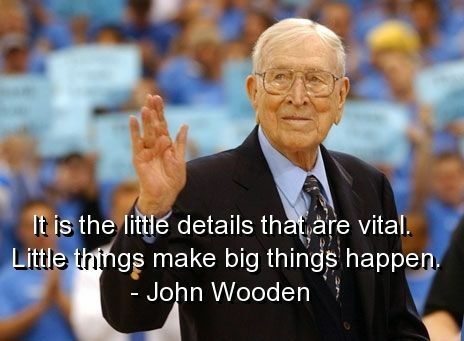 Wooden was a reflective man whose speeches, books, and occasional interviews scattered gems of practical wisdom. A Christian who read his Bible daily, many of those tidbits mirror the teachings of the Master Teacher. In an interview he gave Adam Schefter, sports writer for The Denver Post, he quoted a line he said he used frequently at practice sessions: "I want you to improve a little each day. Don't expect to improve a lot. Today is the day, the only day you can do anything about." That aphorism doesn't fit basketball alone. We are an instant-results, quick-fix society. Quality gets sacrificed along the way. People are seen only as clients and consumers. Relationships that are going to require effort to create or repair are just abandoned. Corners are cut, rules are broken, and disastrous consequences follow. In the aftermath, we either wonder why we feel so empty or blame God for letting us down — or both. Don't be foolish enough to think you can set everything right today, but be wise enough to know you can do a little bit toward your goal. You can't build a championship-caliber team in a day. No single play in the game plan turns losers into champions. No one sales meeting transforms a company's bottom line. No weekend marriage or parenting seminar can set right the impaired relationships of a struggling family. No one sermon or inspirational worship time defines a church to set right its troubles or lift it from the doldrums. "Today is the only day that matters," Wooden added. "Yesterday will never change. Learn from it, but you'll never change it. And tomorrow is yet to be. What can only be affected is today. That's what I want. Each day." Don't be foolish enough to think you can set everything right today, but be wise enough to know you can do a little bit toward your goal. Deepen your faith, strengthen your family, focus your career path, encourage a friend, repair a damaged relationship — today. Just a tiny bit. Without expecting a lot. Then trust God to work over the long haul to bring you an outcome that is right and holy. The mosaic of life is created from the tiny fragments we call todays. And we all, who with unveiled faces contemplate the Lord’s glory, are being transformed into his image with ever- increasing glory, which comes from the Lord, who is the Spirit (2 Corinthians 3:18 NIV). "A Little Each Day" by Rubel Shelly is licensed under a Creative Commons License. Heartlight encourages you to share this material with others in church bulletins, personal emails, and other non-commercial uses. Please see our Usage Guidelines for more information.